10inch LP (Limited edition - black vinyl) 10 tracks. pressed on high quality vinyl! Limited to 1.000 copies, the first 500 copies were pressed on color vinyl and are already sold out! It's quite astonishing that Rock'n'Roll music was as popular in Brazil's blazing heat of the year 1956 as elsewhere. This is proved through this 10inch album, a reissue of an original Brazilian 1956 Bill Haley & His Comets platter,which is one of the rarest amongst hard-to-find albums, today. 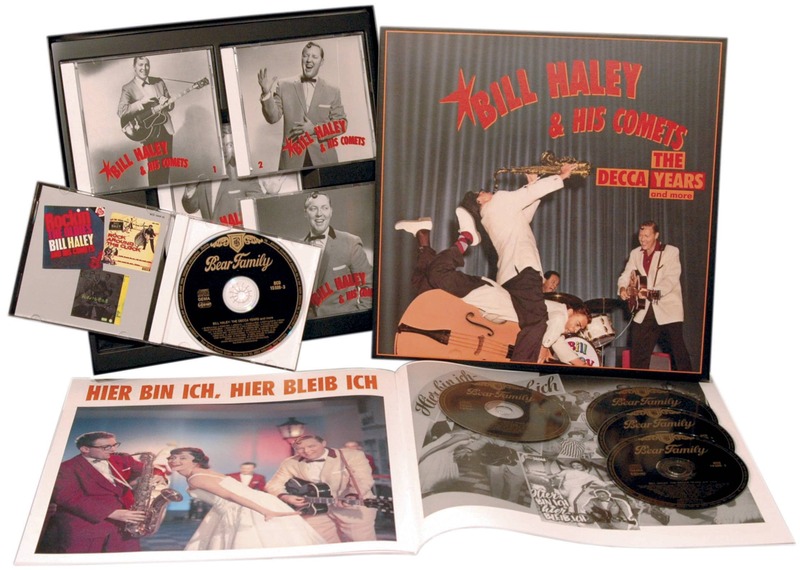 Bill Haley & His Comets already started to rock around the world with Rock Around The Clock in 1955 which was also the title song in the movie 'Blackboard Jungle'. He became the first boss of Rock and he eventually also reached the country of Brazil in 1956. Haley got millions of fans in Brazil and therefore he went on several tours throughout the country of Brazil during the following years. 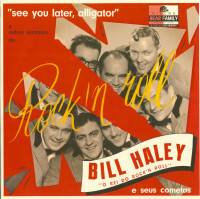 It started with two movies starring Bill Haley & His Comets, 'Rock Around The Clock', and 'Don't Knock The Rock', which found their ways into Brazilian movie theaters resulting into decisions by the record company Decca to issue Haley's records in slightly different forms in Brazil as well. Those platters are some of today's most sought-after collector's items because of their limited ordinance. Besides the title track on ‘See You Later, Alligator - Rock'n'Roll com Bill Haley e seus Cometas’, there are more hit-songs such as The Saints Rock'n'Roll, an adaption of the late standard When The Saints Go Marching In, Teenager's Mother (Are You Right? 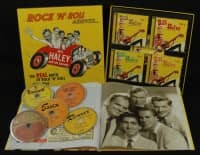 ), plus some songs from the above mentioned movies, including the breath-taking instrumental Rudy's Rock, which features Haley's saxophone-man, Rudy Pompilli. All these songs are not only music history but dancefloor fillers! This music gets you in the mood to dance, to rock around the clock! We added two bonus tracks to the song lineup of the original album for your extra pleasure. 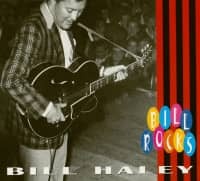 Both bonus tracks werer recorded in 1956. Two Hound Dogs' could've been meant as an answer song to Presley's Hound Dog. 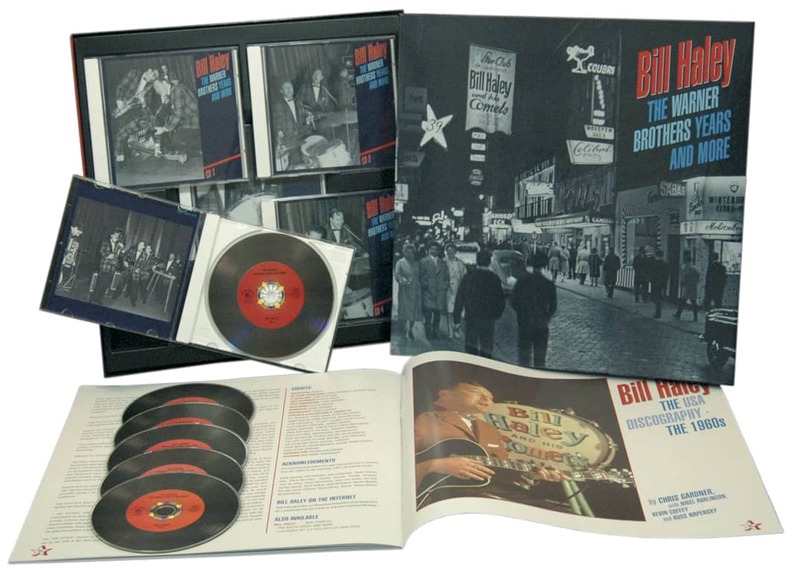 The second bonus song, Hide And Seek, is sung by Billy Williamson of the Comets. 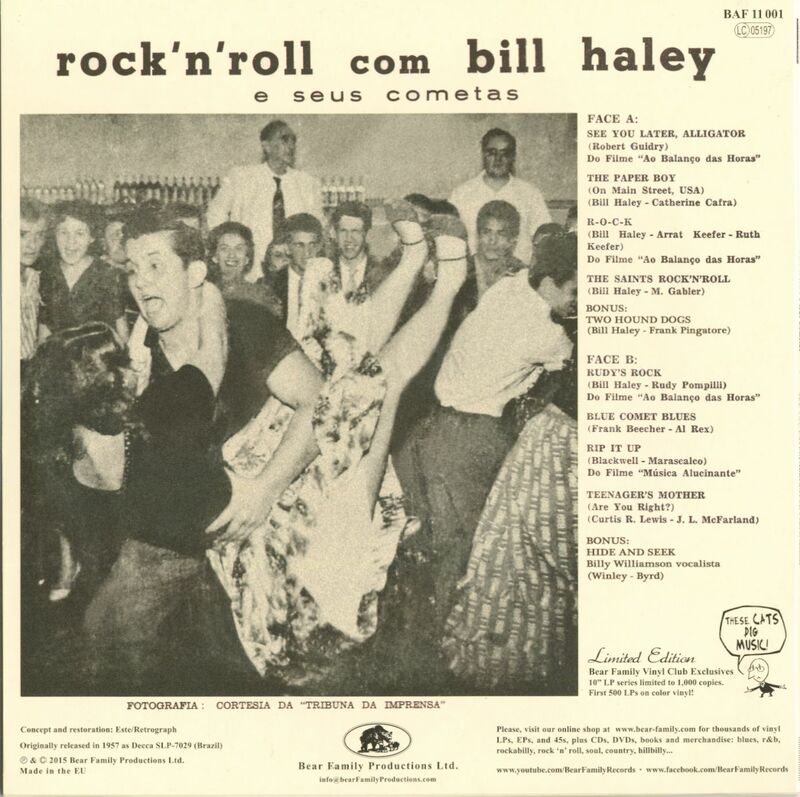 Every single track on this high-quality 10inch album shows its nativeness and its unique sound of the early Rock'n'Roll superstar Bill Haley with his fabulous Comets! A masterpiece in music history and a masterpiece in YOUR record collection! Customer evaluation for "See You Later Alligator (LP, 10inch, Ltd.)"
Sound quality of the vinyl is superb. More 10" LPs from Bear Family Records please. Now Dig This 4/16	"What's to say about the music. 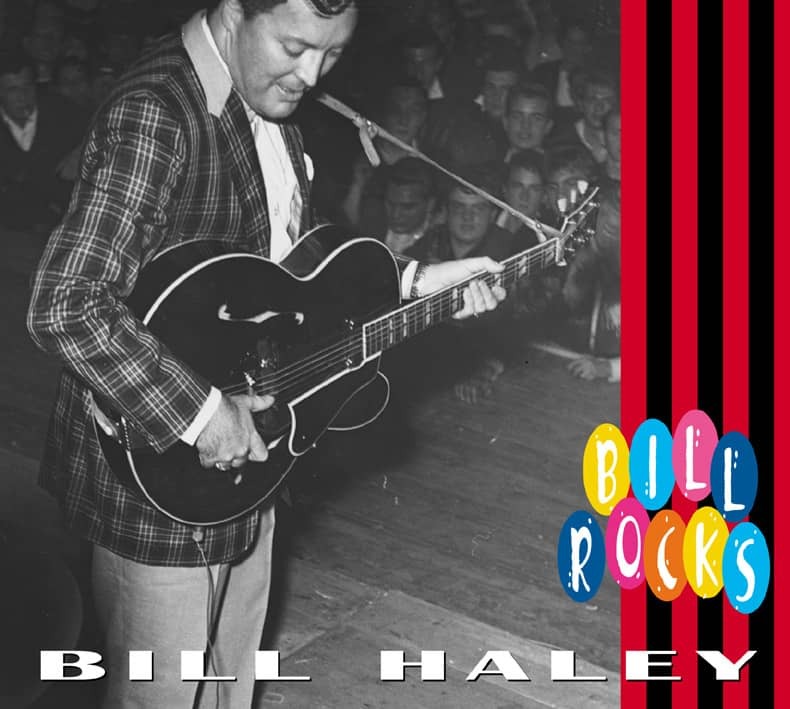 It's classic Bill Haley & The Comets, therefore classic rock n roll and the stuff of legend. In fact, music to start a musical revolution with. And it sounds wonderful coming off freshly-minted 10“ vinyl." Good Times 2/16	"Diese Nachpressung von Bear Family bietet auf jeden Fall die bessere Klang- und Pressqualität und auf jeder Seite noch einen Bonustrack. Diese schnulzenfreie Ladung Rockabilly-Rock 'n Roll sollte jeder haben."